I Want to Buy a Babydoll, Now What? The NABSSAR has put together this page to provide some ideas of questions a buyer might want to ask a seller while shopping for your next Babydoll. One of the first things one might want to do is to familiarize themselves with the breed standard. Here is a link to the NABSSAR breed standard with photos and the breed standard without photos. Once one is familiar with our breed standard, it is a good idea to ask the seller to take photos of the sheep you are interested in so you can "see" the sheep to see for yourself if you think it meets breed standard and your standards and to also take a look at its conformation. Photos you might ask for are: front, back, both sides, and over the top. The sheep should meet the height standard. Since most Babydolls are registered as lambs, they may not meet the height standard once they've grown up. If you're purchasing an older sheep, it is a good idea to inquire about the height. When measuring a sheep, all measurements are at the highest point of the middle of the shoulder and perpendicular to the ground on a shorn sheep. If the sheep is not shorn, make sure you press down on the wool. Adult sheep should be between 18-24" tall. Most Babydoll ewes fall into the 20-23" range and most rams into the 22-24" range. Sheep 17-18" or 24-26" are discriminated against, but can be useful in a well thought out breeding program. A sheep shorter than 17" or taller than 26" will be disqualified. These sheep may not be registered or shown as a Babydoll Southdown. Is the sheep registered, if so, with which registry? 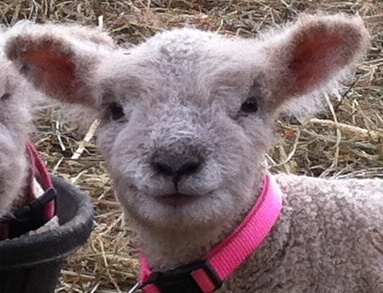 If one purchases a sheep only registered with the other Babydoll registry, there is the option of applying for registration with the NABSSAR via Open Registry. Ask the seller to send you a copy of the CoR. One may find all of our active NABSSAR members on this page to contact about availability of Babydolls. Does the sheep have an ear tag in its ear? Do the numbers on the ear tag match the ear tag number listed on the CoR? A sheep cannot be transferred into your name if it does not. The health of one's flock and each sheep is important. One may want to ask about what vaccinations have been given, and whether any other health testing has been completed, such as OPP and Johne's testing and what the results were. One might ask about the sheep's hooves. How often do they get trimmed and have there been any issues with hoof rot. One might ask about the sellers anthelmintic/deworming practices. Another health issue is scrapies. The genotype of the sheep at codon 171 (RR, QR, QQ) is one factor in determining the sheep's susceptibility to contracting scrapie. RR sheep are resistant, QR sheep are rarely susceptible, and QQ sheep are susceptible to some scrapie strains which occur with low frequency in the United States. The genoytype of your sheep SHOULD NOT be the only thing considered when purchasing a sheep. Many breeders do test their sheep and can tell you what genotype they are. What is Your Purpose for Raising Babydolls? Depending on why one is wanting to purchase a Babydoll can make a difference as to what you might be looking for. If one is planning on breeding or planning on showing your Babydolls some questions you may want to ask are if the sheep is a single, a twin, or a triplet? How is its bite? If a ewe, does it have two teats and does it have extra teats? Ask about the length of the loin and if the loin is 2/3rds of the length of the back? Does the sheep have good leg muscling. Ask about the color of its muzzle and hooves. Again, become familiar with the breed standard and look for sheep that meet it and have good conformation. If one is not planning on breeding or showing, then conformation might not be as important. Many folks have Babydolls for fiber, for meat, for pets, for grass cutters, and for use in orchards and vineyards. Babydolls are a dual purpose breed. Their wool is favored among spinners and fiber artists who enjoy fine wool with remarkable spring. If one is looking for a fiber pet, then ask if the seller has had their fiber tested and what the results where. Even if testing has not been done, ask about the average length of the fiber. Many Babydoll owners do work with their Babydoll fiber and might even be able to share photos of items made with the wool. Babydolls also have select carcass value for the table, an attribute not shared by most other miniature breeds. If one is planning to butcher their sheep, it might be important to ask about what the Babydoll is fed. It wouldn't hurt to tell the seller this is your plan as there are many sellers not open to having the Babydolls they raised wind up on the dinner table. Because of their diminutive size, Babydolls are perfect for younger children to start out with in 4H. There are many adults showing their Babydolls too. 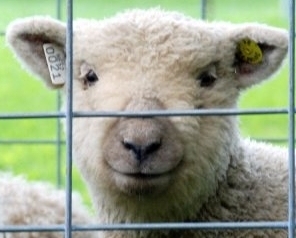 A question to ask might be whether any of the sheep's "parents" have placed at fairs and shows. Start Your Day with a Smile, Own a Babydoll! We at the NABSSAR hope these suggestions help you to find the Babydoll right for you.